Within Temptation and Nightwish are the obvious reference points for a band like this, and it’s easy to see where the band’s original inspiration lay, (which seems apt, as it turns out there’s a strong Within Temptation link I wasn’t originally aware of). 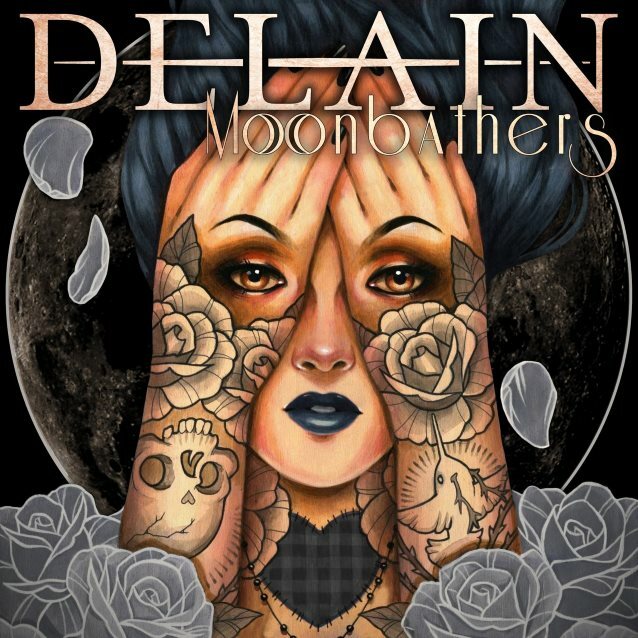 This is all pretty standard for this kind of thing in many ways; however, the important thing is if the band takes this sound and makes it their own, and Delain certainly do their best to accomplish this. These tracks are arena-friendly Euro-metal in the grandest of traditions, all symphonic bombast, melodic excess and lush, gorgeous vocals. It’s a sugary treat for the ears, and, if you’re partial to a bit of this kind of thing, (as I am), it’s extremely hard to dislike. The star of any band like this is always going to be the singer, assuming that she has what it takes to lead the way, and the singer of Delain certainly has no problems in this regard. She has a strong, pliable voice that is flexible enough to pull off everything asked of it. Her voice coats the music in lavish female vocals that are as addictive as they are more-ish. The fact that she can also growl when she needs to is just an added, (unexpected), bonus. The orchestral/symphonic aspects of the music are bold enough to be in your face, but not ridiculously so. It helps to frame the rest of the music, and waxes and wanes according to the particular needs of the song in question. The songwriting is extremely capable, with plenty of outright catchiness, and there are so many hooks and memorable melodies that you could easily do yourself an injury if you’re not careful. I also like that Delain don’t skimp on the more aggressive side of their sound, letting this loose now and again when they deem it appropriate. Heavier riffs and growling vocals have their parts to play in their sound, and it all adds to the band’s quite comprehensive package. This is a quality album, one that may not offer anything shockingly new, but that’s not the point; this is all about the catchy, enjoyable songs, delivered with professional ease and high impact. Delain have all of this in spades. Like the best of this kind of thing, the album takes the listener on a journey in sound. It holds the listener’s interest with ease, containing enough variation within the core style to not get dull or boring, and at 49 minutes long it doesn’t outstay its welcome by being overly ambitious in length. I’ve listened to a lot of this kind of thing over the years, and it seems I’ve been missing out, as apparently Delain do it better than most. Oh, there’s also a Queen cover, and as a Queen lover myself, I can honestly say it’s great. Highly recommended and hugely enjoyable. This entry was posted in Metal and tagged Delain, Metal, Nightwish, Queen, Symphonic metal, Within Temptation. Bookmark the permalink.